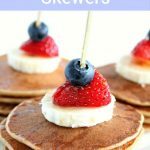 Break out of the breakfast rut and kick start your child’s day with these delicious mini pancake skewer stacks! Make these protein-packed pancakes ahead of time and freeze. They will make your morning routine easier and certainly more tasty! 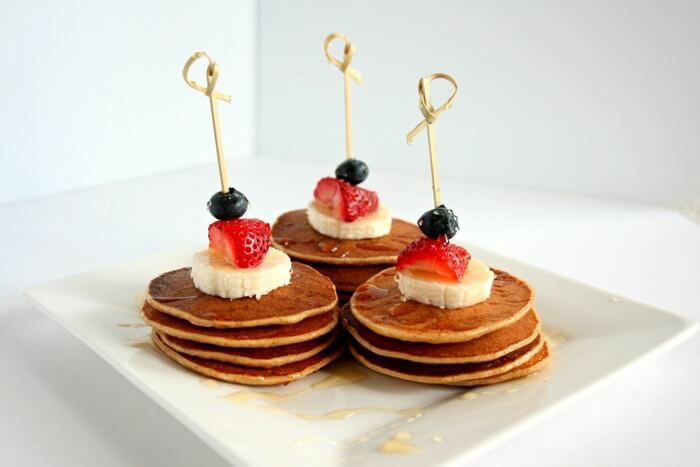 Start off your child’s day with these simple mini pancake skewers stacks. These pancakes may be mini, but are packed with nutrients like fiber, protein, and whole grains to help power your kids through the morning. I love that these pancakes are made with whole wheat flour, no refined sugars, and Greek yogurt for an added protein boost. Best of all you can make a big batch ahead of time and freeze them. 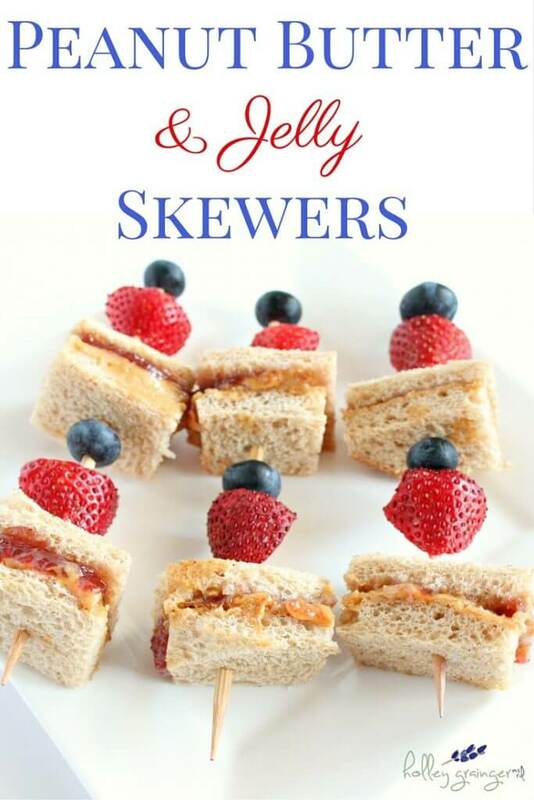 Pop them in the microwave and serve with fresh fruit, honey, maple syrup, or even peanut butter- making back to school breakfast a breeze! 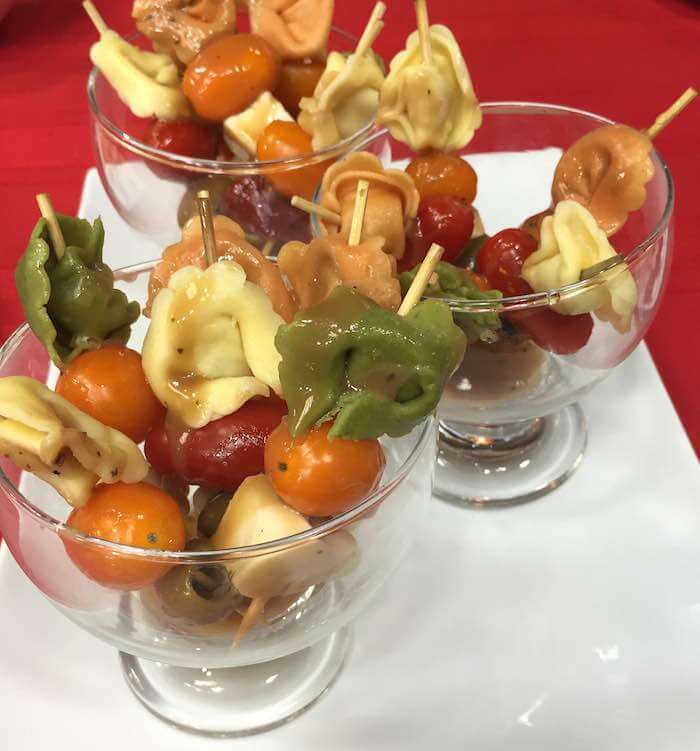 My mini pancakes skewers are a great lunch idea too! Since they are mini, they can easily be packed in a lunchbox. 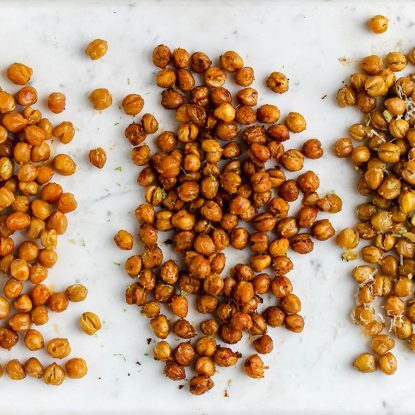 Send these skewers with a side of honey or maple syrup to dip them in. 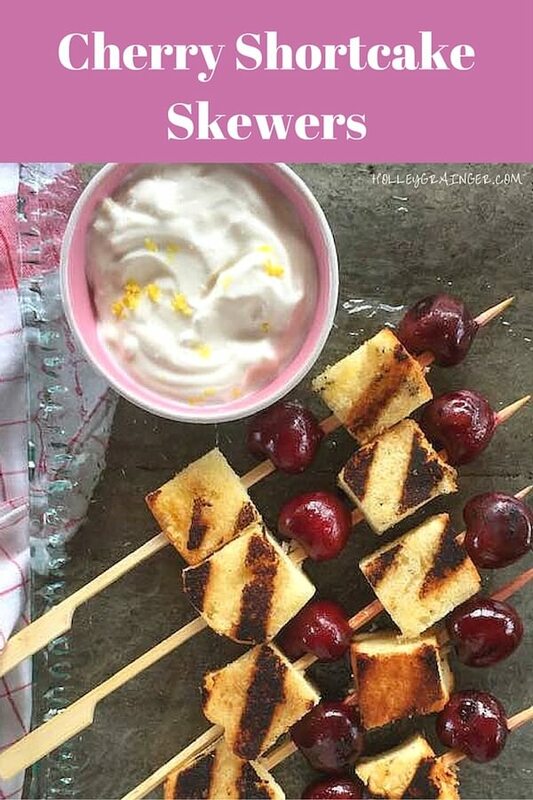 Top or layer the skewers with fresh fruit. 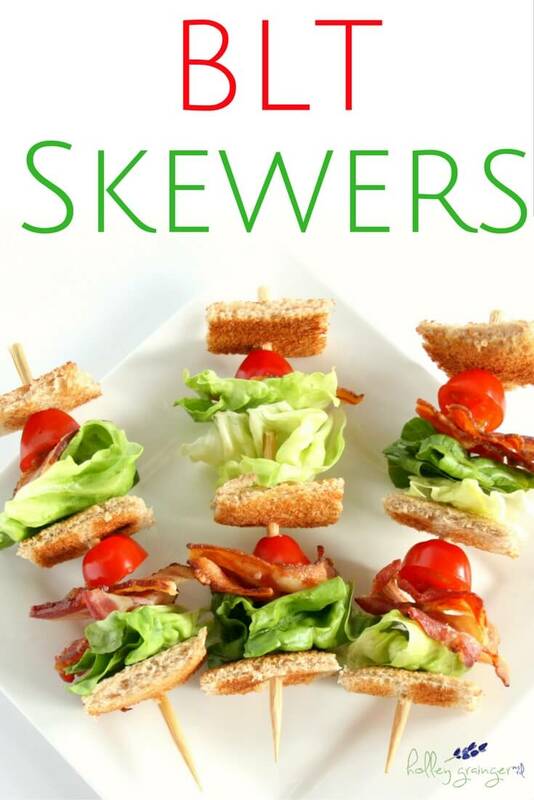 Bring the kids in the kitchen and let them help assemble the skewers. Cook the pancakes ahead of time and cut up an assortment of fruit. 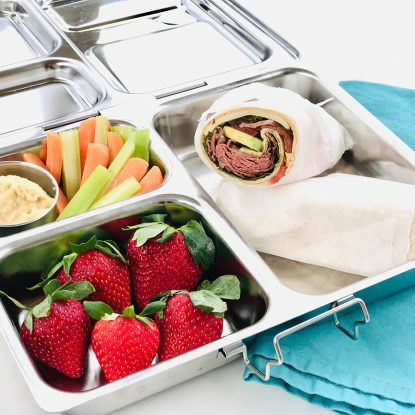 Let your kids layer the skewers and choose their dipping sauce. 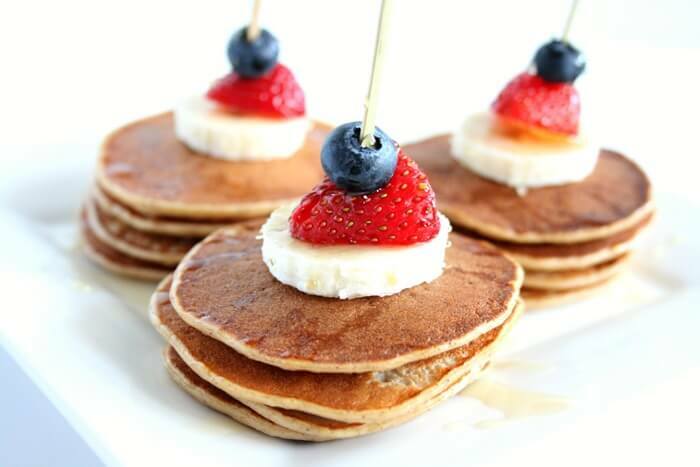 Mini pancake skewers are perfect for breakfast or lunch and will help make your mornings slightly less crazy! Whip up a big batch today! Have we connected yet? If not, make sure to follow me on Instagram, Facebook, Twitter, Pinterest and YouTube to stay up-to-date with all of my latest recipes, nutrition tips, cooking videos, and family happenings. Don’t forget to subscribe to my newsletter (launching this summer) for the latest news, appearances, and more! Combine dry ingredients (flour, cinnamon, baking powder) in a medium sized bowl. In a large bowl, mash a very ripe banana. Add milk, Greek yogurt, vanilla, and two eggs to the mashed banana and combine. Slowly add dry ingredients to the wet ingredients. Stir until batter is smooth and well incorporated. Heat skillet on medium high heat. Spray with cooking spray. Working in batches, drop batter by tablespoons onto skillet. Cook until bubbles appear on top about 2 minutes. Flip and cook until brown on underside. About 1 minute. Repeat with more cooking spray and batter. Wipe skillet clean before each batch. 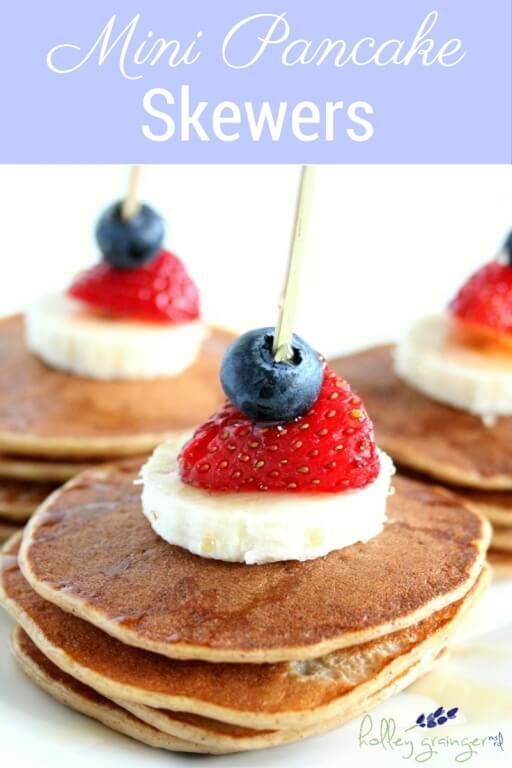 Set aside the boring bowl of cereal and kick start your kids' day with these delicious mini pancake skewers! 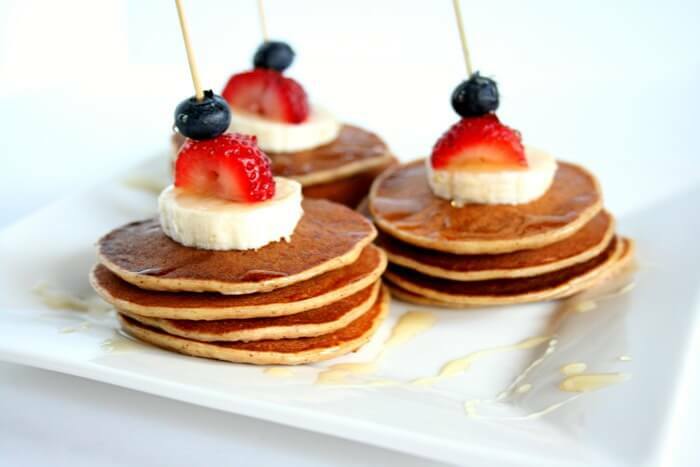 Make these simple protein packed pancakes ahead of time and freeze. They will make your morning easier and certainly more tasty! Holley! I just love this idea! So cute and fun!! !